The goal of this work is to improve the ability of conservation efforts to strategically determine where and how they work to maximize benefits to nature and people, as well as assess measurable benefits to the quality of people’s lives. Explicit consideration of linkages between people and nature are integral to reaching conservation goals, but diverse terminology and mismatches between conceptual frameworks can hamper progress. Once resolved, a decision-making process can be established that identifies socioeconomic and environmental metrics in a way that is systematic, transparent and collaborative, as well as flexible enough to adapt to diverse decision-making contexts. Ultimately, the most informative metrics for the environment and human well-being are those that are relevant, resonant, realistic, and robust for the socio-ecological system. The New England region offers a unique opportunity to investigate conservation planning methods. There are extensive natural areas within this region that is also one of the most densely populated and developed in the country. Connecticut, in particular, is the fourth most densely populated state in the US and is also about 60 percent forested. These circumstances, along with other ongoing landscape-level trends, creates unique challenges for sustainable management of natural resources and their ability to provide ecosystem services. My dissertation research will investigate opportunities, limitations, and tradeoffs within conservation planning for wildlife conservation and management. 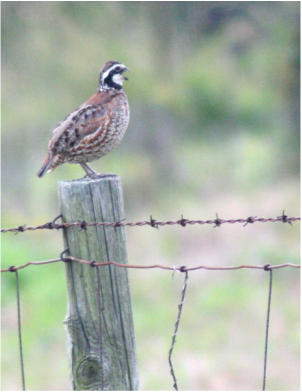 Mauri's Master's thesis focused on studying bobwhite populations in an agricultural and private-land dominated landscape in Ohio that have been experiencing long-term declines. Her project investigated the role of breeding demographics, habitat selection during the breeding season, and the influence of microhabitat on nest success. Occupancy models are a powerful way to gain ecological insights and better inform wildlife management because they allow researchers to evaluate observations from their study system independent from the observation process. 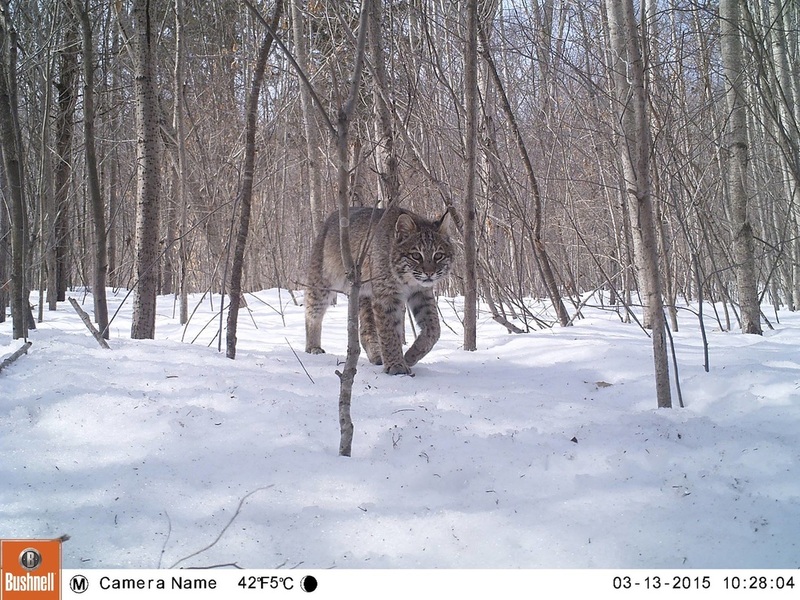 I have used occupancy models to investigated how camera trap study designs influence detectability, or our ability to detect an individual or species based on its presence within a surveyed area. Measures of occupancy, abundance and density are all influenced by species detectability, yet detectability is often unaddressed or poorly handled in the camera trap study designs. 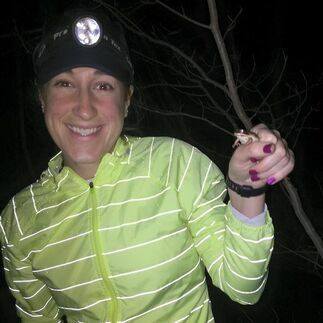 I am also using a dynamic multi-season occupancy model to explore the influence of winter weather on wood frog colonization and extinction dynamics across 28 years of observations.